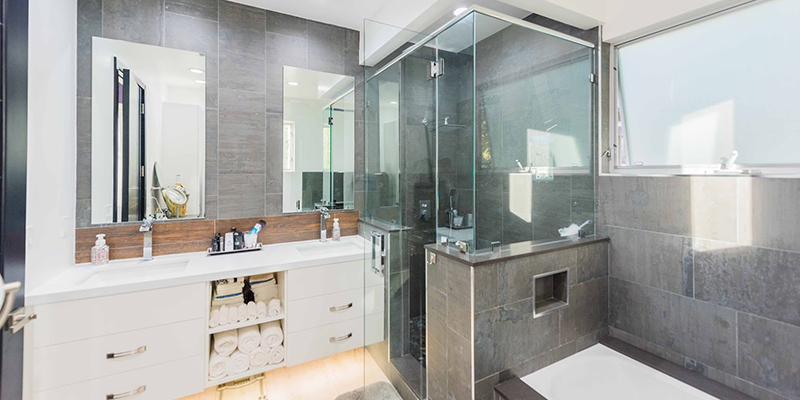 Are you considering a bathroom remodeling project in Los Angeles? Call H&A My Design first and you won’t want to call another contractor. As you begin to collect design ideas for bathroom remodeling in Los Angeles, you probably won’t see close to all the available style and design changes that are available right now. The bathroom remodeling industry is growing that quickly. In Los Angeles, bathroom design is the new chic for home remodeling. Most people have is they don’t know what they can actually afford today. That’s why calling H&A My Design is a good start. We’ll show you how much luxury you can actually afford! Bathroom remodeling in Los Angeles is about how to get you precisely what you want. H&A My Design delivers the bathroom you have been dreaming about. Whatever style strikes your imagination, H&A My Design will custom craft spectacular results for you. Bathroom remodeling in Los Angeles is about what you want your bathroom to be. H&A My Design makes your bathroom remodel wrap around your lifestyle. If you are at a place in your planning where you want a Los Angeles bathroom remodeling discussion, call H&A My Design. We want to sit down with you. We give real help to you and will help you define all the details for your bathroom remodeling. During your Los Angeles bathroom remodeling, vanities, toilets, tubs, and sinks may need to be relocated. During a complete remodel the work also includes carpentry and floors. Plumbing and electrical work is done during the installation of the new fixtures. Design and planning is where H&A My Design really outshines the competition. All of the luxury bath fixtures will be thoughtfully planned out according to the design that works the best for your lifestyle. At the design stage we set the layout perfect. We’ll plan your new fixture locations into it together. Your bathroom remodeling in Los Angeles is going to look perfect because it is just right for you. H&A My Design is a Los Angeles bathroom remodeling specialist. We make the most out of all the your floor space during bathroom planning. We map your Los Angeles bathroom remodeling completely. H&A My Design merges the design of your Los Angeles bathroom remodeling to your whole house decor.. We take a lot of pleasure that everything from your luxury bath to the vanity is the design you want for your bathroom remodeling in Los Angeles. Do you want your new Los Angeles bathroom to be designed around your lifestyle? Let’s make it what you want to make out of it. Do you want to wind down in a spa? Bathroom remodeling designs by H&A My Design make it happen on your way. Spa designs for bathroom remodeling Los Angeles are more fashionable now than ever before. You can even add cutting edge blue-tooth technology into your bathroom remodeling in Los Angeles. Think about the potential. For your bathroom remodeling in Los Angeles, call H&A My Design. Speak with one of our designers. Call H&A My Design today!